This post has been updated! on 25/8/2017. It needed new photos. 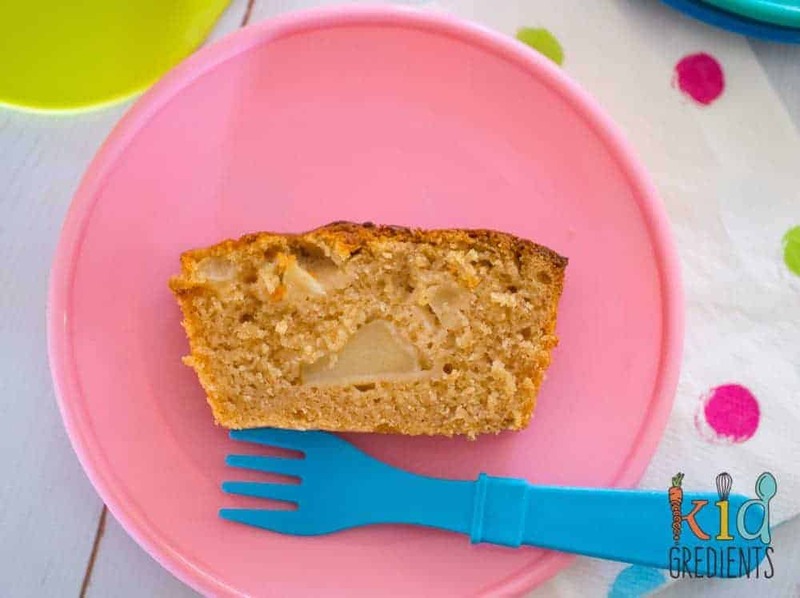 Because this apple cinnamon loaf is amazing. I decided to bake it again today as I have to supply cakes for the school Community Fair bake stall, and this was the perfect opportunity to bake up a storm and re do a whole heap of photos…without eating them all myself. Lunchbox food. So hit and miss. Then you need it to be nut-free, relatively healthy and containing yummy stuff that will convince the kids to eat it. And you need it to be freezer friendly for quickly adding to the lunchbox in the morning. 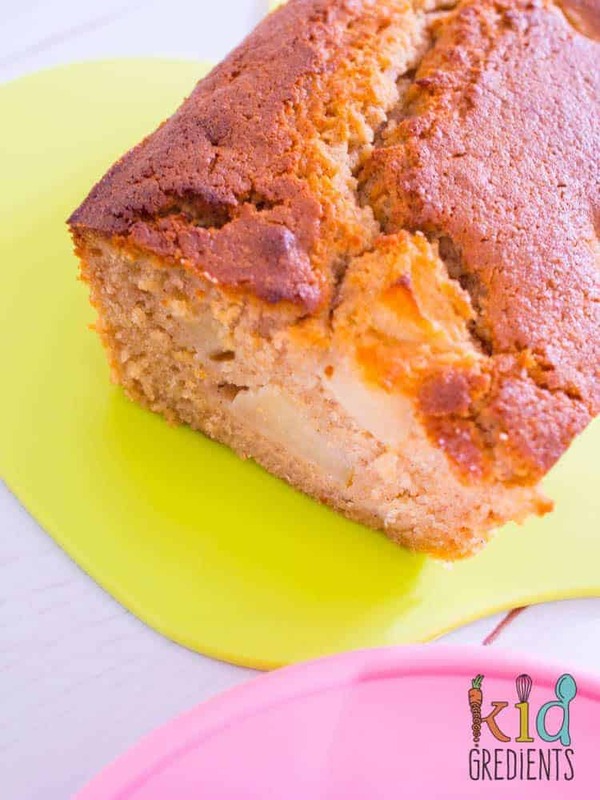 So -here is an easy loaf that ticks all those boxes, makes 12 slices and tastes like something you’d have in a cafe which means it is awesome for before-school-pickup munchies for Mum in the afternoon! This is an awesome apple pie flavour which will appeal to the the kids as well as being sophisticated enough for afternoon tea with adult humans (you know, when the kids are playing nicely and you actually manage to sit still and eat something with a bit of conversation). If you aren’t at a stage where you can do this…I promise it will happen. I’m not however going to make promises on when! Are you sharing with the kids? If you are freezing this, your best bet (unless you plan on pulling out the whole loaf) is to slice it and separate the slices onto a chopping board and freezing before putting into containers or into a freezer bag. The slices will defrost easily if you pop them in the lunchbox in the morning. It’s also great as a brunch snack with a good slathering of butter. 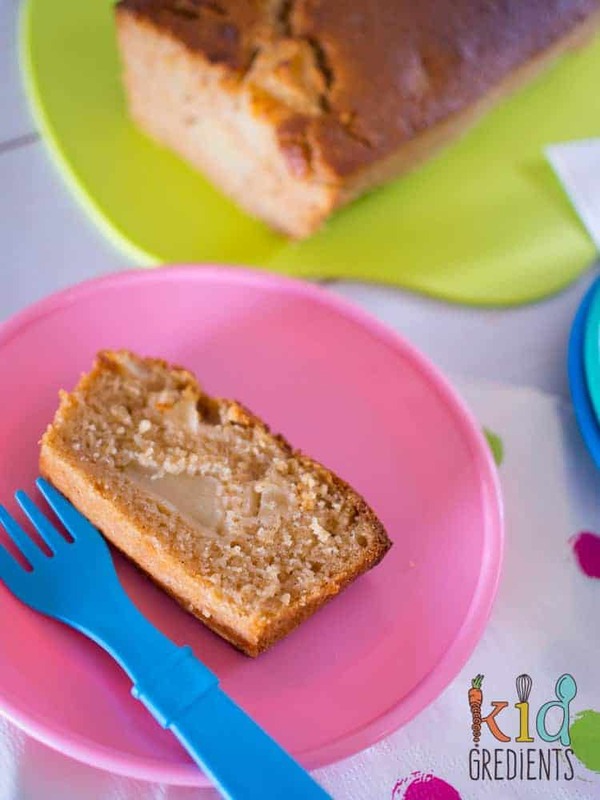 This apple cinnamon loaf is perfect in the lunchbox and goes in the freezer too! 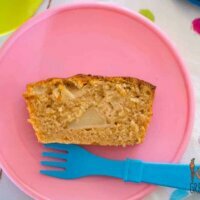 Easy to bake recipe that is so yummy! Beat together the butter and sugar with and electric mixer until creamy. Add the egg and continue to beat. Stir in the flour, cinnamon, apple puree and milk. Fold through the chopped apple. 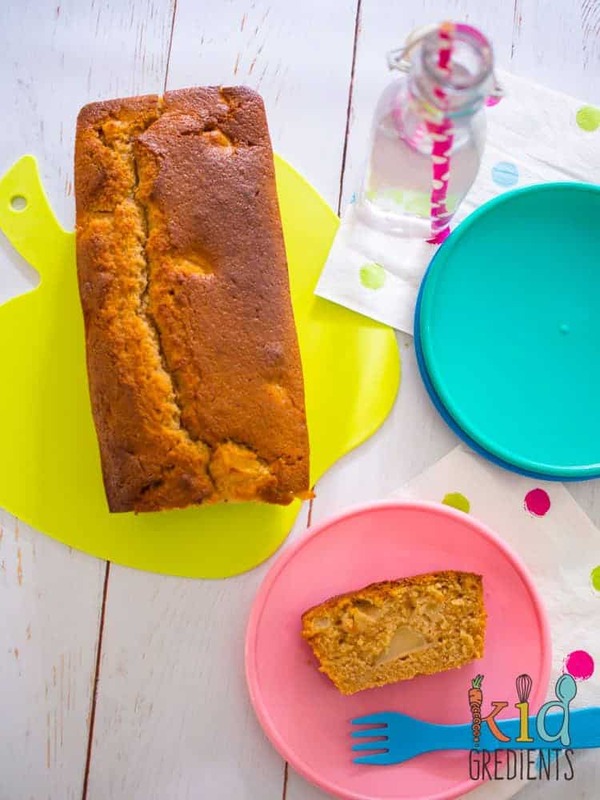 Pour into a silicone loaf tin (or a lined metal one). Bake at 180 degrees for 50 minutes. Test with a skewer- if it comes out clean it's good! Makes 12 slices. Freezes well.